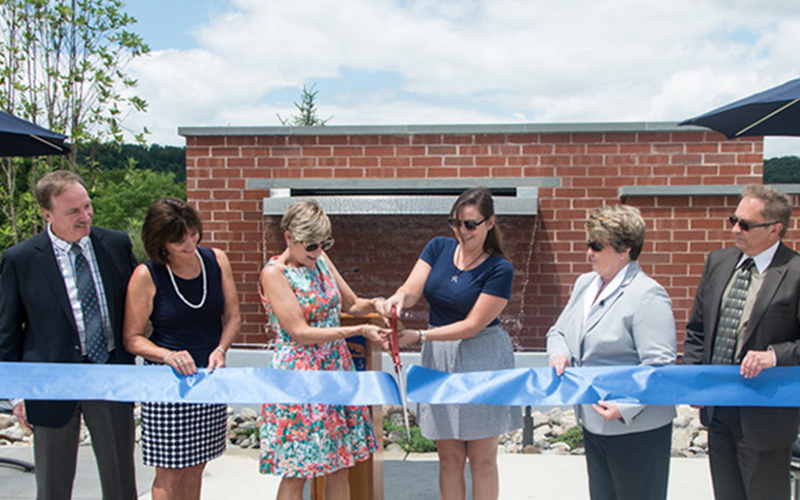 Penn State Lehigh Valley held a naming dedication and ribbon-cutting ceremony for two areas on campus on Monday, June 29. The festivities began on the north side of the campus where Ann Williams, chancellor at Penn State Lehigh Valley, officially dedicated and opened the new student plaza. The plaza, which features a water element and lion bench, was envisioned by Priscilla Johnson, former director of academic support services at Penn State Lehigh Valley. Johnson, who retired in 2012, said she always hoped that such a place would be created on the campus to encourage students to connect with nature and also to provide a relaxing area apart from the building. “The new student plaza will provide students with a beautiful contemporary outdoor space for engaging in campus life, socializing with fellow students and outdoor studying,” said Tiffany Cresswell-Yeager, director of students and enrollment services at Penn State Lehigh Valley. A bench on the plaza was also dedicated in memory of Maureen Joly, former director of development at Penn State Lehigh Valley, who died in 2013.  The landscape architectural firm Brown Design Corp., Allentown designed the plaza, and construction was managed by Bracy Contracting, Allentown. Following the opening of the plaza, attendees walked along the new path, which connects the plaza to the academic building, into Centre Hall for a special naming dedication. Kenneth Thigpen, director of academic affairs at Penn State Lehigh Valley, then dedicated the east wing as Ann Williams Wing in honor of Chancellor Williams’ 15 years of service to Penn State. Williams will retire on July 14. Williams joined Penn State in 2000 as chancellor of the Lehigh Valley campus. Combining her administrative experience with teaching experience at five colleges and universities, Williams brought with her an excellent understanding of the current issues of higher education at all levels. She was formally educated at Wilkes University, Marywood University and Temple University in the areas of psychology and adult development/adult education. During her tenure at Penn State Lehigh Valley in Fogelsville, the campus also operated a successful Corporate Learning Center in Bethlehem that allowed for campus growth and addressed the needs of adult learners. In 2009, spurred by exponential enrollment growth and surpassing campus capacity, Williams oversaw the relocation of campus operations to the present Center Valley site. It was her vision and energy that managed 23 renovation projects at the new location including the Markowitz Music Room, the Ronald K. De Long Art Gallery, the Media Innovation Center, and, most recently, the student plaza. She also was instrumental in the subsequent establishment of The Penn State Center at Overlook Park in Allentown specializing in health care and technology education. Under her leadership, the campus has seen an 85 percent increase in enrollment and has added academic and co-curricular programs and services that engage students across the lifespan. An excellent public speaker in her own right, Williams has presented at many national conferences and has been the keynote for local community organizations. She also is known for her choices of speakers for the Penn State Lehigh Valley commencement that recently have included Mayim Bialik, Jeffrey Tambor and Blair Underwood. It was, in part, witnessing the impact of these accomplished speakers with our students that lead to the establishment of the Dr. Ann M. Williams Visiting Innovator Program Endowment. In recognition of her many accomplishments in higher education, Williams has been the recipient of several awards. Specifically, she has received The Shirley Hendrick’s Award for her support of adult learners; the Community Music School Award for her support of the arts and art education; the Nike Award by the Lehigh Valley Business Women’s Association; and, most recently, the 2015 Women of Influence Award by Lehigh Valley Business.